After a week of stories about the death of endangered animal Cecil the Lion, the people behind the lights display at the Empire State Building in New York City decided to pay a bigger tribute. 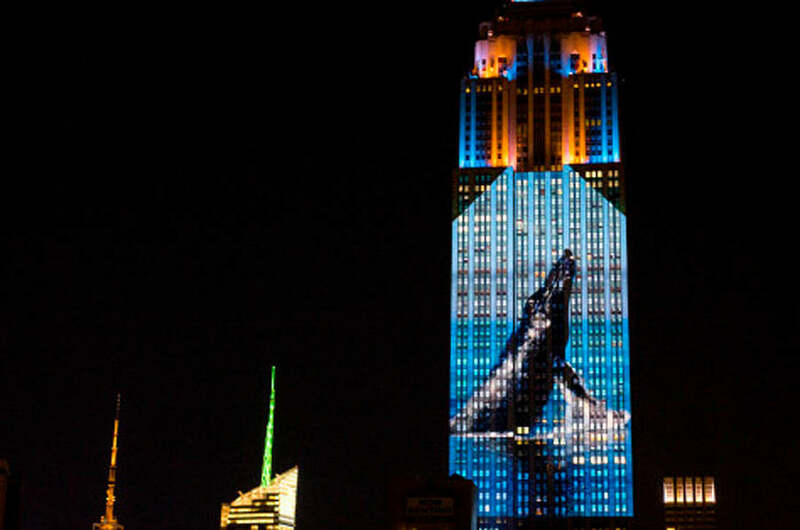 On Saturday night, the iconic skyscraper lit up with pictures of endangered animals of all kinds, including tigers, whales, eagles, and of course, lions. The event was created to help promote a Discovery channel documentary, "Racing Extinction," which is set to air in December, but comes just as people around the world are calling out for an end to poaching and hunting endangered animals.